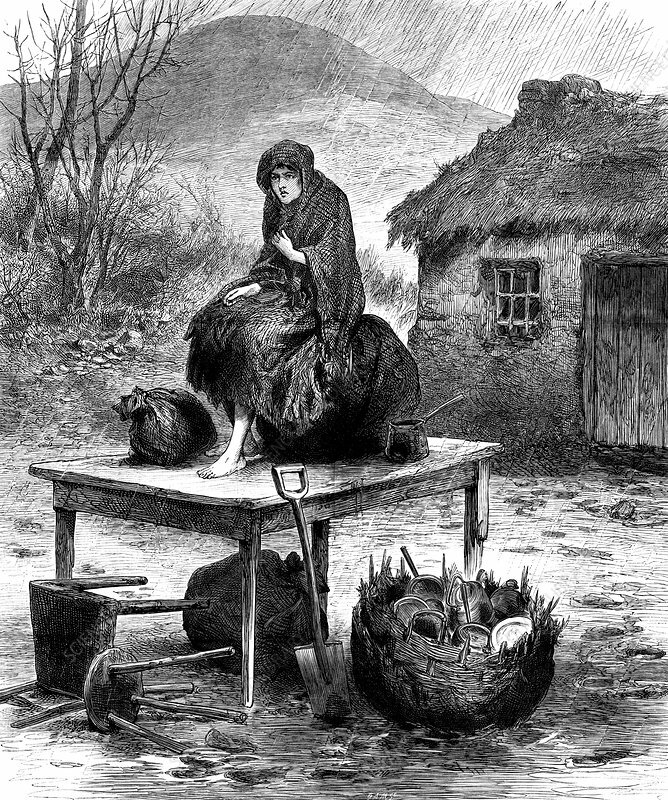 Irish peasant girl guarding the family's last few possessions after eviction for non-payment of rent. From The Illustrated London News, April 1886. Wood engraving.